As the nights grow colder, the world grows more insane and the Holiday Spirit starts to conflict with many people, movies become an important cultural inclusion. It’s also an interesting month to release films because not only do we get our Winter Blockbusters but Awards-Season starts to ramp up and we get our Oscar-contenders. Let’s waste no time and dive into the biggest U.K. movies of November 2016! A few months ago ‘The Light Between Oceans‘ could easily have been considered a big Oscar-contender. Based off a critically acclaimed book by M.L. Stedman, starring an assortment of awards-calibre actors from ‘The Place Beyond The Pines‘ director Derek Cianfrance not to mention a hard-hitting story about parentage, all the stars seemed aligned for this film. 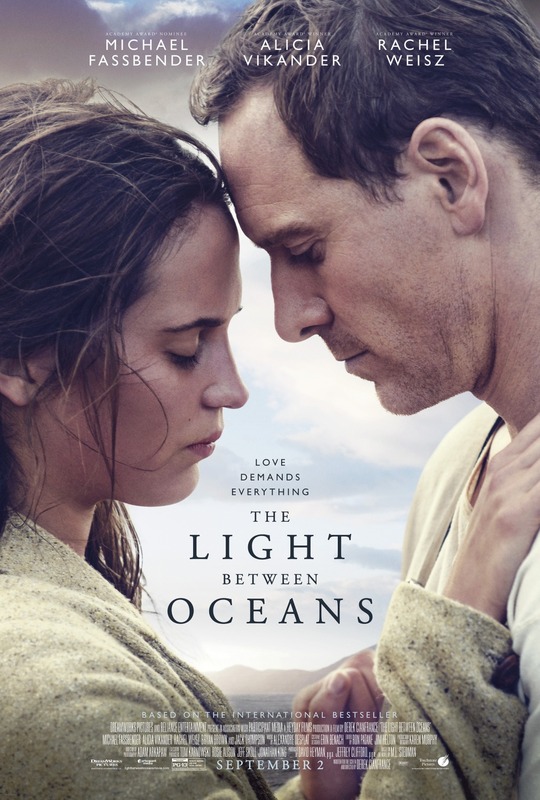 I also found myself getting quite excited about this drama which follows Michael Fassbender and Alicia Vikander as a married pair of lighthouse keepers in the 1920s who find a baby girl washed up on the shore. They decide to adopt the child but things get complicated when Rachel Weisz shows up as she could potentially be the girl’s mother. But despite the talent and the emotional trailers, the movie has lost a lot of momentum. Mediocre reviews criticising it for being too emotionally manipulative seem to have soiled its awards chances. However, in these cold winter months it could still act as strong counter-programming and I’d be lying if I said the premise and the talent on board didn’t have me intrigued. At least this movie will have a special place in the hearts of Fassbender and Vikander as this is the film set where they first met and became a romantic couple. After being saddled with the production train-wreck that was ‘Jane Got A Gun‘, director Gavin O’Connor is hoping for a return to prominence after receiving worldwide acclaim for 2011’s ‘Warrior‘. Who better to team up with than Ben Affleck who may have starred in one of 2016’s biggest disappointments but is still an immensely talented name who can draw an audience? 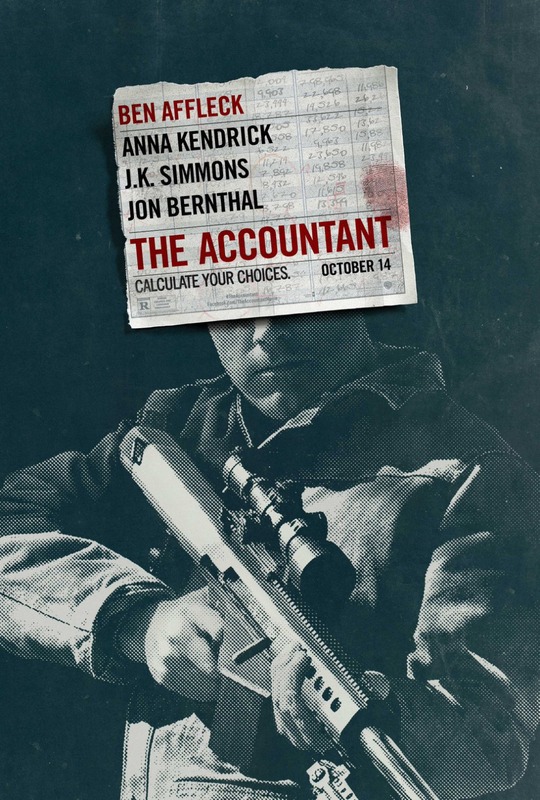 Not only that, but his new thriller ‘The Accountant‘ has an all-star cast consisting of Anna Kendrick, J.K. Simmons, Jon Bernthal and John Lithgow. Despite very mixed reviews (it’s at 51% on RottenTomatoes at time of writing) it’s become a strong mid-tiered hit which is an increasing rarity in the modern filmmaking landscape especially one not based on any source material. With a budget of (only) $44M it’s a testament to the talent on board and Warner Bros. marketing efforts that this has become a high-profile release. The trailers have been intriguing and while the reviews aren’t great, there are many passionate, ardent defenders of the movie so it’s clearly resonated with certain people. This might be worth checking out, but your mileage will vary. On the other hand, we’ve got ‘Nocturnal Animals‘ another mid-tier budgeted film with high-profile talent including ‘A Single Man‘ director Tom Ford writing and directing. 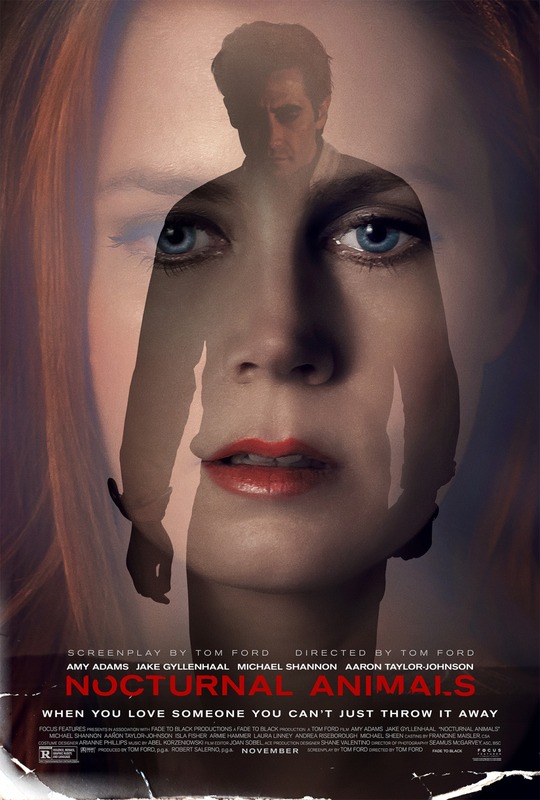 We’ve got Oscar-calibre actors Amy Adams and Jake Gyllenhaal being accompanied by Michael Shannon, Armie Hammer, Isla Fisher, Aaron Taylor-Johnson and Michael Sheen as well, yet unlike ‘The Accountant‘ this film has had a pretty tepid marketing campaign and buzz feels non-existent for it. Adams and Gyllenhaal play a former couple who have moved on since divorcing. However, Gyllenhaal has written a novel dedicated to Adams’ character which reawakens potential romantic feelings but maybe there was a reason the two split up in the first place. The trailers are intense and Gyllenhaal seems to be channelling his character in ‘Nightcrawler‘ which is a comparison I’m sure the filmmakers want you to make. The reviews have been generally positive but is there a reason there’s been so little buzz for ‘Nocturnal Animals‘? One of the more high-profile British films of the year, ‘A Street Cat Named Bob‘ is based on the true story of James Bowen; a former homeless man and drug addict from London who in 2007, while living in supporting housing, stumbled across a stray cat named Bob. The two would sell copies of “The Big Issue” and busk together and the pairing became a YouTube hit allowing Bowen to write about his story and become a best-selling novelist. 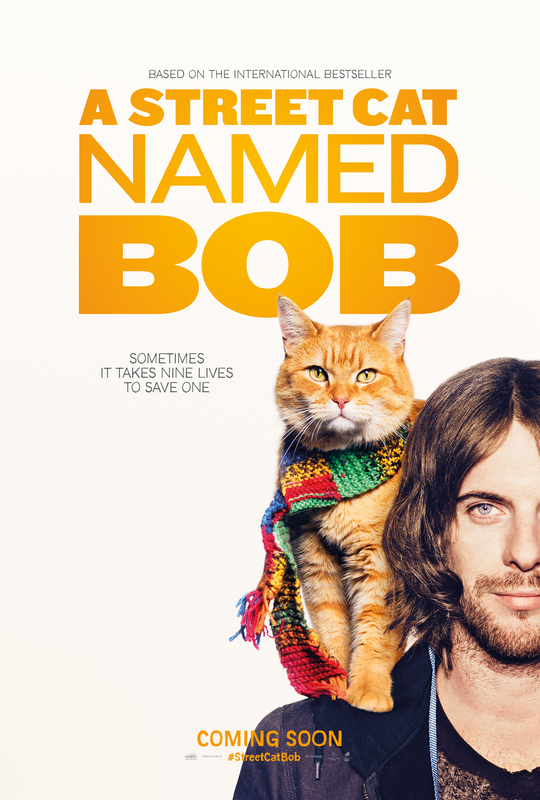 The book “A Street Cat Named Bob and How He Saved My Life” was a huge, inspirational hit and has now become a feature film starring Luke Treadaway as Bowen and Bob the Cat as himself. I’m not expecting ‘A Street Cat Named Bob‘ to be a brilliant, mind-blowing movie. However, as a small British film coming at the right time of year (homeless charities often see an upsurge in donations around Christmas), with a family-friendly hook of Bob the Cat as well as being based on a true story should be a winning, feel-good formula at the box-office. Reviews have been positive and people have been responding to it well so this might be a good, low-key Christmas classic in the making. Despite working as a director since the late-80s, Canadian director Denis Villeneuve’s career has only taken off in recent years with one of the fastest rises to Hollywood power I can think of. After his 2010 film ‘Incendies‘ was nominated at the Academy Awards for “Best Foreign Language Film” he went on to direct ‘Prisoners‘, ‘Enemy‘, ‘Sicario‘ and is now tasked to direct the ‘Blade Runner‘ follow-up ‘Blade Runner 2049‘. But before he finishes that sci-fi movie, he’s taking a stab at a film based on first-contact; ‘Arrival‘. Eric Heisserer has had a strange career as a screenwriter, working on the lazy remakes ‘The Nightmare on Elm Street‘ and ‘The Thing‘ but also writing out-there genre-fare like ‘Hours‘ and ‘Lights Out‘ as well as the best instalment of the “Final Destination” franchise in ‘Final Destination 5‘. So who knows how his story-driven approach to science-fiction will fare as ‘Arrival‘ is playing itself as a low-key mystery in how to communicate with extra-terrestrial life. 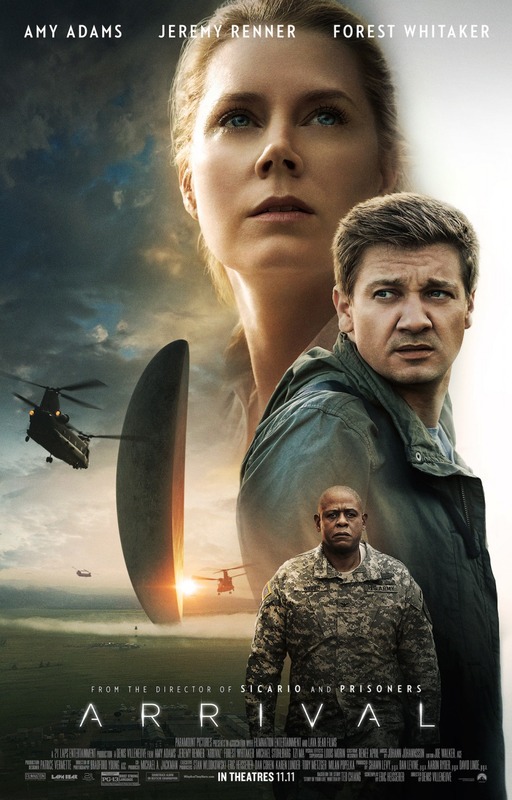 Critical consensus seems to praise everything about the film sans the ending, so let’s see how ‘Arrival‘ sticks the landing. 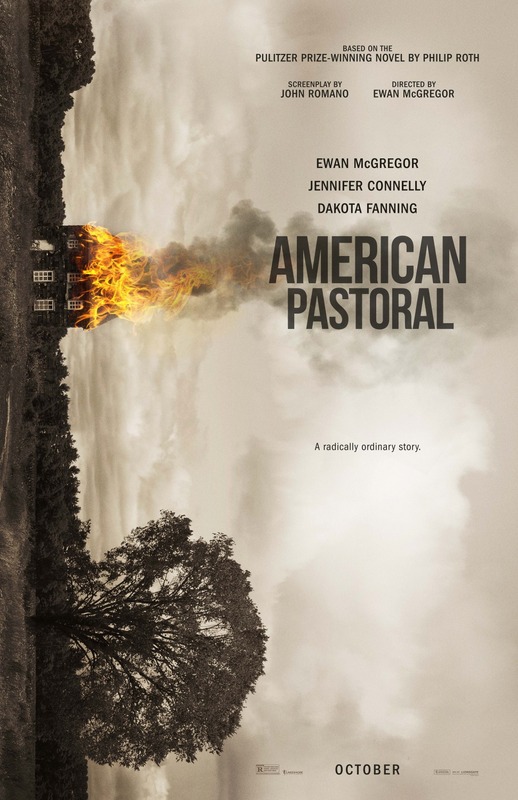 Now this is a strange inclusion this month; an adaptation of Philip Roth’s acclaimed novel “American Pastoral” directed by actor Ewan McGregor making his directorial debut. Though, to be fair, McGregor has had a varied career working in almost every genre with many different directors so surely he’s picked up a few pointers over the years. But the plot of this movie adaptation follows McGregor and his wife played by Jennifer Connelly. During their teens they were the envy of all their friends; he was a war hero and a local athletic star and she was a beauty queen. The two have a daughter played by Dakota Fanning who, so intimidated by their legacy, starts to rebel against them and the establishment during the 1960s whilst also suffering from a bad stammer. It’s a very effective premise where the next generation, being fed on heroic stories of their parents and ancestors which they can’t possibly live up to whilst growing up during the Vietnam War, start to rebel as the older generation are wondering what type of world they’re leaving behind. It’s this complex subject matter that made the original book a huge critical success but reviews for ‘American Pastoral‘ have been fairly negative. That’s a shame because the talent is there as well as the premise and I loved the movie’s trailer (found below). I’ll still be checking this out, but my expectations have taken a hit. 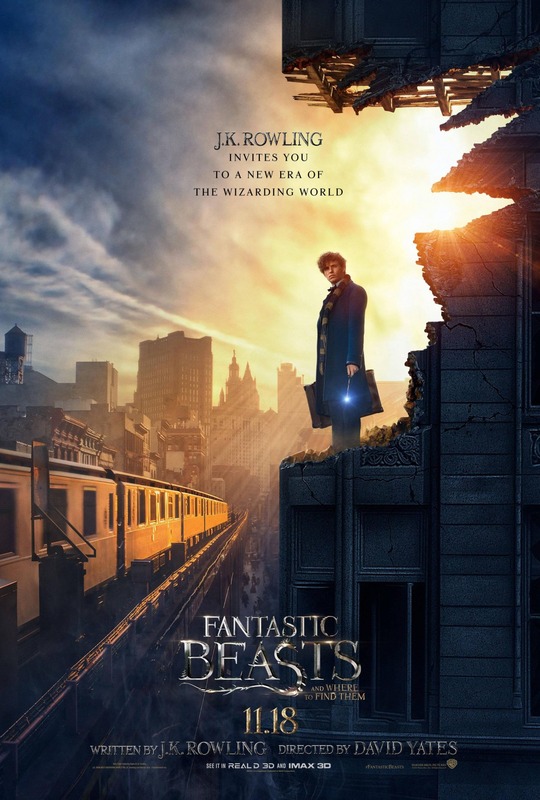 In early 2016 I did my “Top 10 Most Anticipated Movies of 2016” where ‘Fantastic Beasts And Where To Find Them‘ took the top spot. For myself and many others for my generation, the 8 “Harry Potter” movies were some of the most influential and iconic films of my youth, much like “Star Wars” was for the generation before. It’s in this landscape where I’ve seen all the movies in theatres, sometimes multiple times and consider the 3rd and the 8th some of my all-time favourites. However, even I was sceptical about this spin-off, especially with recent news that J.K. Rowling is hoping to make 5 of these films. Are we going to see a Post-MCU Potter film that’s too interested in setting up future films or will this be a stand-alone film with sequel potential like ‘Harry Potter & The Philosopher’s Stone‘? Well, the talent is certainly there. At time of filming Eddie Redmayne was the award-holder for “Best Actor” after his turn in ‘The Theory of Everything‘, David Yates is coming back after doing stellar-work on films 5-8 and we have a 1920s setting in America, a far-cry from the 1990s British environment of the prior films. The trailers haven’t wowed me, but with the promise of future films and a climax that could lead into other instalments that Warner Bros. don’t want spoiled, it’s possible that they’re saving content for the movie itself, which isn’t a bad approach. Even if we’re not going back to Hogwarts, we’re off to the Wizarding World again and hopefully it’s just as good as it was before. Now, don’t get me wrong folks, I love the original ‘Bad Santa‘. It’s not quite on my personal yearly-rotation of Christmas films like ‘The Muppets Christmas Carol‘, ‘It’s A Wonderful Life‘, ‘The Nightmare Before Christmas‘ with last year’s ‘Krampus‘ about to join, but it’s still a solid and noteworthy anti-Christmas comedy. Billy Bob Thornton killed it, Tony Cox is legitimately funny, its ending is earnest despite how crude the rest of the film is and it came at an ideal time to become a cult classic. But did it need a sequel? It works so well as a standalone that to make a sequel 13 years later (a strategy that has worked out very badly for films like ‘Zoolander 2‘ or ‘Independence Day: Resurgence‘) feels like a cash-grab. 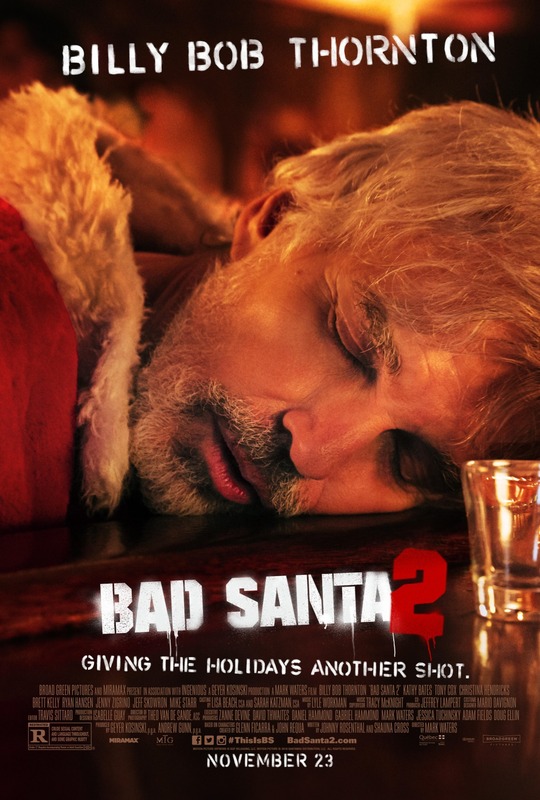 Still, the original leads return (including Brett Kelly as Thurman) and we also have new inclusions Christina Hendricks and Kathy Bates for this sequel which follows Willie Soke and Marcus hoping to con a Christmas Charity…kinda going against the ending of the last movie, but okay. While the trailers have made me laugh, it’s been mainly out of a reminder for the first film as opposed to a unique hook. My expectations are pretty low here, but this could be a solid sequel. Despite some of his later career steeped in motion-capture animated films such as ‘A Christmas Carol‘ and ‘Beowulf‘, Robert Zemeckis is still capable of making compelling movies. While he may have peaked in the 80s and 90s with ‘Back To The Future‘, ‘Who Framed Roger Rabbit‘ and ‘Forrest Gump‘ he’s proven with ‘Flight‘ and ‘The Walk‘ that he can still make gripping cinema. And you know what, ‘The Polar Express‘ actually holds up. 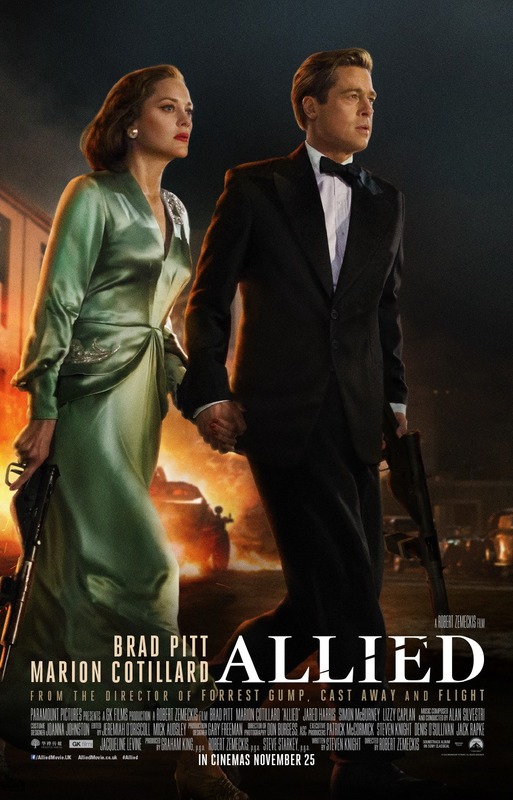 As for ‘Allied‘, he’s making what seems to be his most mainstream movie since ‘Cast Away‘ as Brad Pitt and Marion Cotillard play a couple of World War 2 officers who fall in love. However, it’s possible that Cotillard is not who she appears to be and Pitt is tasked with uncovering any possible hidden agenda. It’s a compelling mystery with a great leading duo and feels like the type of sweeping romantic epic that would have fit right into 1940s or 50s multiplexes. I’m looking forward to this one, even if the reviews aren’t as positive as one would expect for this type of assembled talent. Yet another sweeping romantic epic with great leads, but this time we have one based on a true story…and the budget is much smaller because it’s a British film. 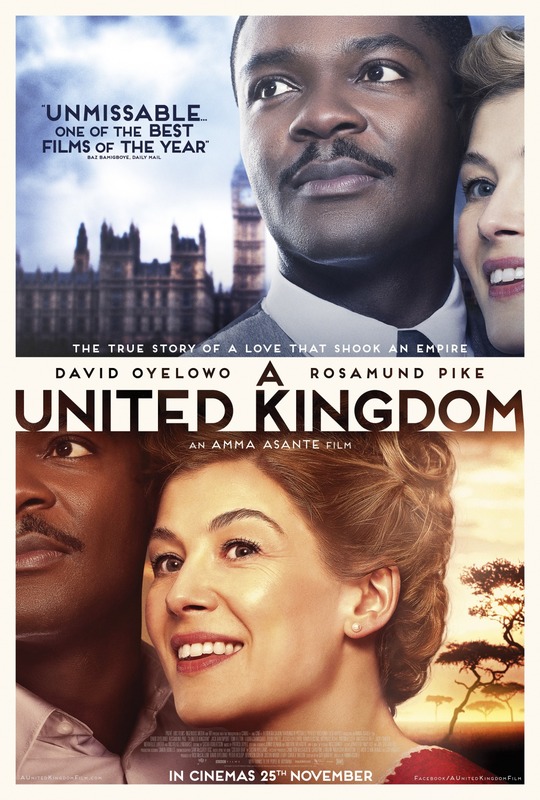 ‘A United Kingdom‘ stars David Oyelowo and Rosamund Pike as Seretse Khama and Ruth Williams; Khama was born into African royalty but was living in London in the 1940s when he met his wife Ruth, an insurance clerk. The interracial marriage was controversial enough but when it was revealed that he was needed to return home to become the first president of Botswana, it became a race and class issue which could have torn apart the political relationship between England and South Africa. For this movie, all the stars seem to have aligned here. We have incredible talented leads (Oyelowo easily should have been nominated for an Oscar with ‘Selma‘) but most interesting of all is director Amma Asante who made her debut in 2004 as a director but it was her 2013 film ‘Belle‘ that really put her on the map. Much like ‘Belle‘ we’ve got a movie where race is its primary focus, but this time on a much bigger scale. Much like ‘A Street Cat Named Bob‘ we’ve got another British biopic that looks set to connect with audiences. 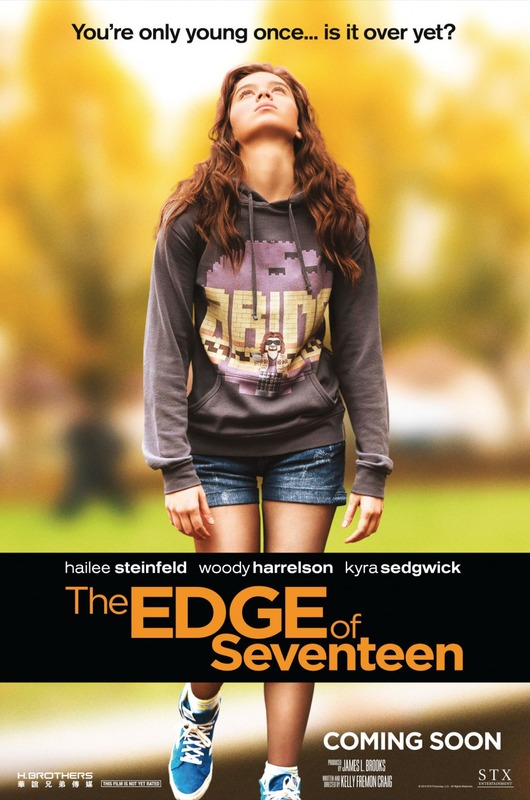 And to round off November, we have a change of pace with ‘The Edge of Seventeen‘ coming from James L. Brooks’ production company Gracie Films (‘Jerry Maquire‘ and “The Simpsons”) and distributed through STX Entertainment. This coming-of-age comedy stars Hailee Steinfeld (a teenage actor playing a teenager, what an odd concept…) who doesn’t fit in at high school. Things are made more complicated when her best friend starts dating her seemingly perfect brother. ‘The Edge of Seventeen‘ is the directorial debut (lots of those this month) of Kelly Fremon Craig and while at first glance it may seem like your typical high-school comedy, a watch of the movie’s trailer and a glance at the reviews would suggest otherwise. This actually looks pretty awesome. It stands at 94% on RottenTomatoes making it the highest rated movie in this preview and the icing on the cake is Woody Harrelson as one of the high school teachers who just kills it in the trailer. This may not seem like much, but this could be the darkhorse Winter movie to watch that may not be a big theatrical release but could be huge come its home-media release. Anyway folks, what are you all looking forward to this November? Are there any other releases that I missed that you can’t wait to see? Be sure to sound off in the comments section below!